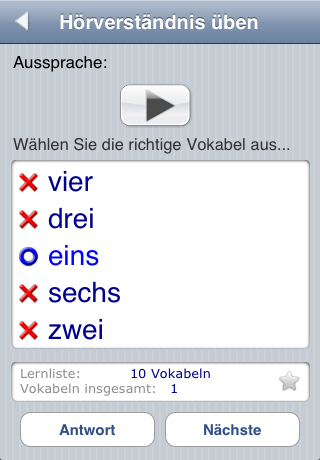 This is the free LITE version of English Audio FlashCards for German Speakers with free access to the first 6 wordfiles. The full version includes over 5000 English words and phrases organized into 146 wordfiles -- all with native-speaker audio. Learn over 5000 English words! 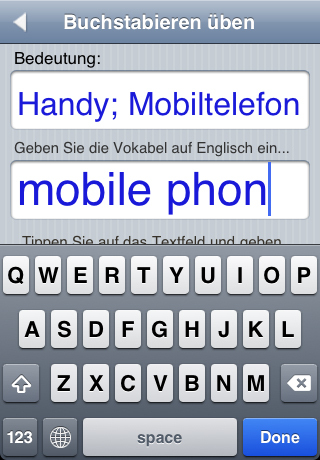 -- all with native speaker audio. Includes flashcards and exercises. 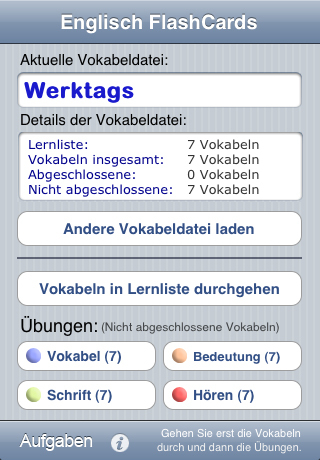 ◊ Over 5000 English words and phrases - Yes, that is right 5000! And each and every one with native speaker audio. 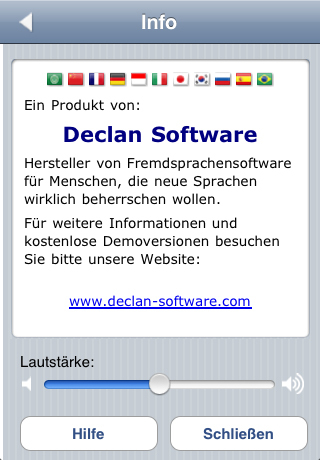 English Audio FlashCards (for German speakers) is a foreign language vocabulary learning tool by Declan Software. The Japanese version includes around 5000 words and phrases each with a native speaker audio recording. Words are organized into approximately 145 WordFiles with each WordFile containing up to 100 words. Loading new WordFiles: To switch to another wordfile simply press the “Load Another WordFile” button and then select the WordFile you desire from the “Load WordFile” table. 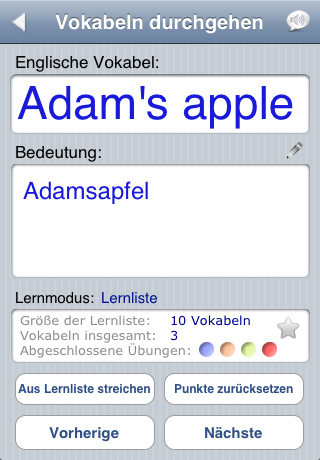 Audio FlashCards comes preloaded with 3 WordFiles – all other WordFiles are downloaded by the application as required using an (WiFi or 3G) internet connection. If a WordFile needs to be downloaded before it can be used it will have a grey icon next to it in the “Load WordFile” table. To start downloading the WordFile simply select that WordFile and then press the “Start Download” button.